Are your employees as engaged in their jobs as you’d like them to be? One way to increase engagement is to introduce your employees to workplace volunteering. For more information on ways to increase employee engagement, contact Sue Driscoll by emailing sue.driscoll@uweci.org or calling 319-398-5372 ext. 822. United Way has several options for workplace volunteer engagement to help your employees build a better workforce, improve lives, and strengthen our community. The Workplace Volunteer Council (WVC) maximizes the positive impact businesses are able to make in east central Iowa. 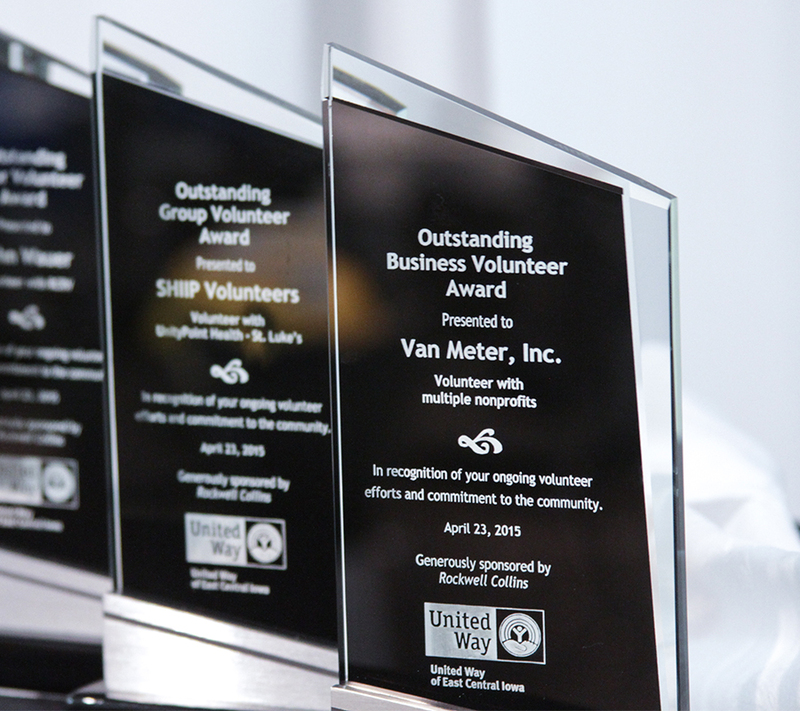 The WVC connects social-minded companies to help them establish, grow, and sustain successful Workplace Volunteer Programs in their place of business. Contact us to learn more or click here. Volunteers are an important foundation of many nonprofit agencies, and bring many skills and resources. Retention of well-trained volunteers increases efficiencies and organizational capacity. To retain volunteers, nonprofits must understand what motivates a volunteer, give them opportunities for personal growth and development, communicate how their work impacts the organization, and recognize their time and talents. Learn more. Day of Caring is one of the largest organized volunteer events in Cedar Rapids. Local businesses encourage their employees to volunteer at nonprofit agencies and schools throughout the community. Volunteer teams of all sizes tackle meaningful projects to address community and agency needs. Day of Caring promotes the spirit and value of volunteerism, increasing the awareness of local human service agencies, and demonstrates the impact individuals make when working together. Learn more. Many working families in Linn County don’t have access to affordable tax preparation services or haven’t heard about programs like VITA that could put thousands of dollars in their hands and into our local economy. VITA volunteers help low- and moderate-income taxpayers complete their annual tax returns. Learn more. Considering a group volunteer project outside of Day of Caring? Volunteering provides team building while giving back to the community. We will work with you to find the best volunteer opportunity for your team. Learn more.